The surgery is open from 8am - 6.30pm Monday to Friday. 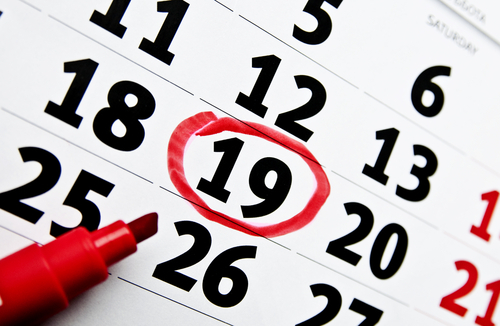 You can book a routine doctor appointment up to 2 weeks ahead and a nurse appointment up to 3 months ahead. All acute on-the-day appointments are triaged by one of our Advanced Nurse Practitioners. These appointments open at 8am Monday—Friday where our Patient Services Team take a brief description of your problem and book you an appointment. Please note—There is always a GP available to refer to if your condition requires a GP’s opinion. We have four Advanced Nurse Practitioner's working from Monday to Friday, Kerry Whitley, Jane Austin, Fiona Wentel and Karen Moody. Each day we have two Advanced Nurse Practitioners on duty. How has this effected routine appointments? As we now have two Advanced Nurse Practitioners for on-the-day appointments this has enabled us to create more availability for routine appointments with our GP’s. We still have appointments available to book up to two weeks ahead with all of our GP's. Health Care assisstant appointments for blood tests, blood pressure checks, ear syringing. Please note Patient Services are also trained to take blood pressures, just pop down the the surgery and ask at the reception desk. Please make an appointment with the nurse for any of the following: Dressings, removal of stitches, cystitis, ear infections, vaginal infections, throat infections, hay fever, contraception, cervical smears, smoking cessation, overseas travel advice and vaccinations, childhood vaccinations and health advice for parents of young children, healthy heart monitoring, asthma and diabetes. If you are in doubt, seek the advice of the nurse in the first instance and she will refer you to a doctor if necessary. You are now able to book routine GP appointments online. There will be at least two routine appointments per GP per day which are eligible for online booking. In order to book these appointments you must register. To do this please phone Patient Services on 01244 563105. Please note - for urgent appointments you must ring the surgery as they wont be available to book online. Our medical receptionists at Patient Services may ask you for some simple details to help direct you to the correct clinician and to ensure you get an appropriate appointment. If you work and find it difficult to attend the surgery during the day you can book an appointement at the extended access GP clinic at the 1829 building at the Countess of Chester Healthpark. This offers routine appointments every evening from 6.30pm to 8pm and on a Saturday morning. Call 01244 385422 to book an appointment. We would like to remind our patients that our normal doctors appointments only last 10 minutes. You can request a longer appointment if you have several different problems to discuss. We have introduced a new service that allows patients who are currently registered at the practice to consult with a GP electronically and offers alternatives to calling or coming into the surgery for common, more minor problems. Please note any photographs needed to help diagnose your condition can be uploaded securely. Using this service you can also access self-help content and alternative options available to you (e.g. pharmacy, symptom checkers). To access the service directly click here. If you are housebound or too ill to attend the surgery, please telephone 01244 563105 before 10.30am (if possible) to request a home visit. The receptionist will ask the nature of the problem so that the doctors can visit the most urgent cases first. Not all requests will result in a home visit by the doctor. The doctor may phone the patient to discuss the problem and an alternative to a home visit may be agreed. It may sometimes be to the patients benefit if they can attend the surgery as they will then be seen more rapidly. 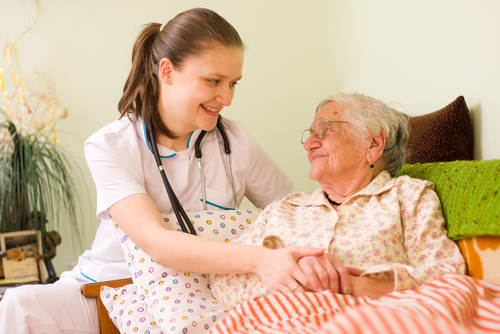 Our Practitioners can assess, diagnose and treat illness and prescribe medication. They can refer you for further tests, to one of our own GP’s or to a hospital doctor as appropriate. You may be asked for a brief description of your problem when booking an appointment with our Nurse Practitioners. This will enable our Patient Services team to book you in with the appropriate clinician. Our Patient Services team will deal with your enquiry confidentially and discretely. * Your pharmacist should be the first post of call for these conditions. If your symptoms do not improve or get worse then make an appointment with the Nurse Practitioner. In summary, it is appropriate to see the Advanced Nurse Practitioner for any acute illness where you would have previously booked an ’on the day’ doctor’s appointment. Our Advanced Nurse Practitioners will triage all on the day urgent appointments. There will always be a GP available to refer to if your condition requires a GP’s opinion. West Cheshire have set up an evening and weekend pre-bookable GP surgery called Extended Hours The Countess of Chester Health park in the 1829 building (signposted from the entrance of the Hospital). This service is useful for patients who work unsociable hours or find it difficult to attend the surgery during normal surgery hours.